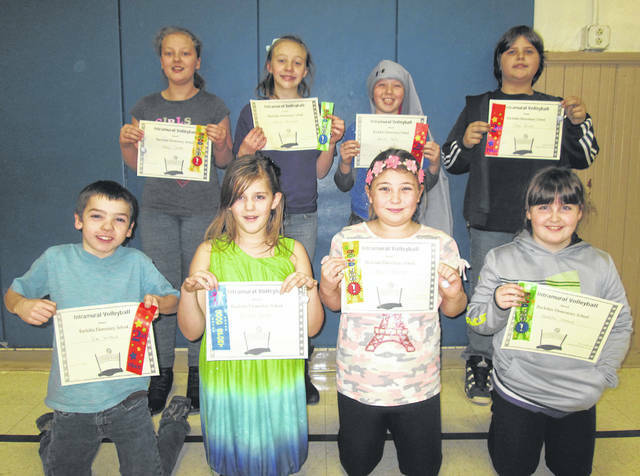 The fourth and fifth grade students at Buckskin Elementary recently completed an intramural volleyball tournament. The double-elimination tournament games were played during lunch time recess. The championship team went undefeated throughout the tournament. 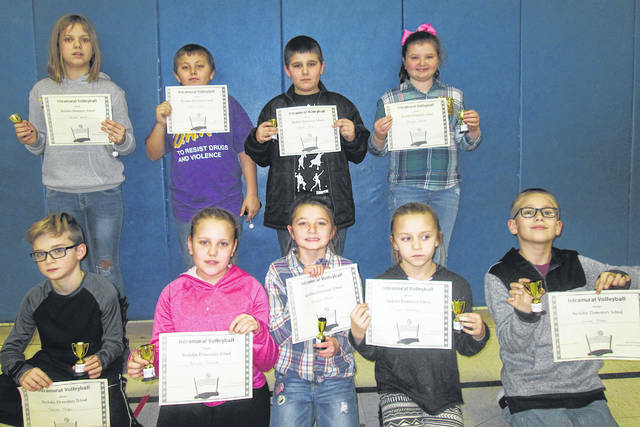 Team members were captain Morgan Johnson, Carson Shope, Toree Wareikis, Julian Swan, Reagan Johnson, Zander Brabson, Brayla Coleman, Clayton Gibson and Haylee Waulk. The members of the runner-up team were captain Abby Carter, Damian Taylor, Kaelin Burchett, Camden Allen, Natalie Stroud, Ean Wolford, Alexis Knisley, Cody Bruce and Brooke Martin.